Overview: Throughout the 1970s, Marvel Comics had been releasing black & white magazines through their parent company, Curtis Magazines. Most magazines featured more adult topics than what could be printed in a comic (and approved by the Comics Code Authority). 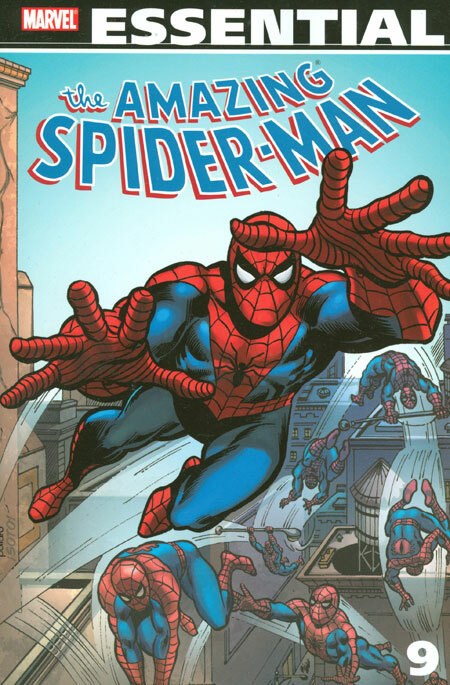 The magazines tended to feature characters that were not currently featured in the Marvel Comics, although there were some exceptions along the way. In 1976, Marvel changed that up with the launch of the Rampaging Hulk magazine. The magazine can be broken up into two eras, as clearly defined by the title change of the magazine. When the magazine launched, the stories were set in the 1960s, picking up on the Hulk’s adventures following the cancellation of his title in Incredible Hulk #6. The Hulk and Rick Jones are on the run from the Army, and travel to Europe to escape their pursuers. There they encounter the alien Bereet, who is also being pursued by her race, the Krylorians. While they claim that Bereet is an escaped fugitive, the Krylorians actually intend to take over the Earth. 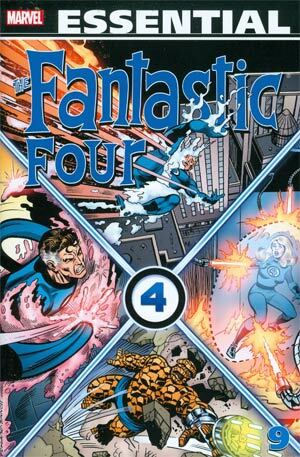 During the course of these adventures, the Hulk, Rick Jones, and Bereet encounter numerous familiar faces from the Silver Age of Marvel Comics. The original X-Men and the Sub-Mariner cross paths with the rampaging Hulk. To stop the final phase of the Krylorians invasion, our heroes return to the New York City, where the Hulk encounters Iron Man, Thor, Ant Man, and the Wasp well before they team up to form the Avengers. The Krylorians realize that their plans are useless, and flee the Earth. Beginning with issue #10, the magazine goes in a new direction. 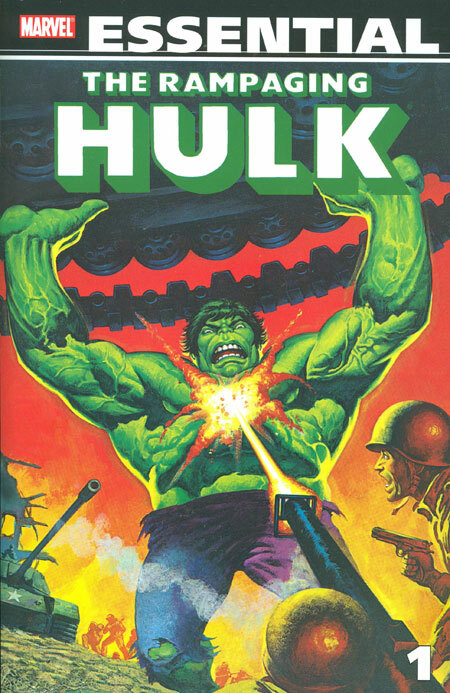 The title changes to the Hulk!, and the stories are now told in “Marvelcolor”. The stories now take place in current Marvel time, and take an approach similar to the popular Incredible Hulk TV show of this same time. Bruce Banner is on the road in search of a cure for his condition. Each issue, Banner stumbles into some odd job (miner, circus carny, etc.) and some incident occurs that leads to his change into the Hulk. A Bobby Ewing Shower situation! : In Incredible Hulk #269 (March 1982), it was revealed that the stories in Rampaging Hulk #1-9 were not “in continuity” but rather a fictionalized film created by the artist Bereet to entertain her fellow Krylorians. Bereet then traveled to Earth, where she became a companion of sorts for the Hulk during the time that he maintained his intelligence while he was the Hulk. She appeared in stories throughout 1982 and 1983, before disappearing into the character limbo. What makes this Essential? : While I wouldn’t say that any of these stories are truly essential, I found myself pleasantly surprised by how much I enjoyed this volume. Sure, most of these stories fall outside of any continuity, but sometimes those make for better stories. 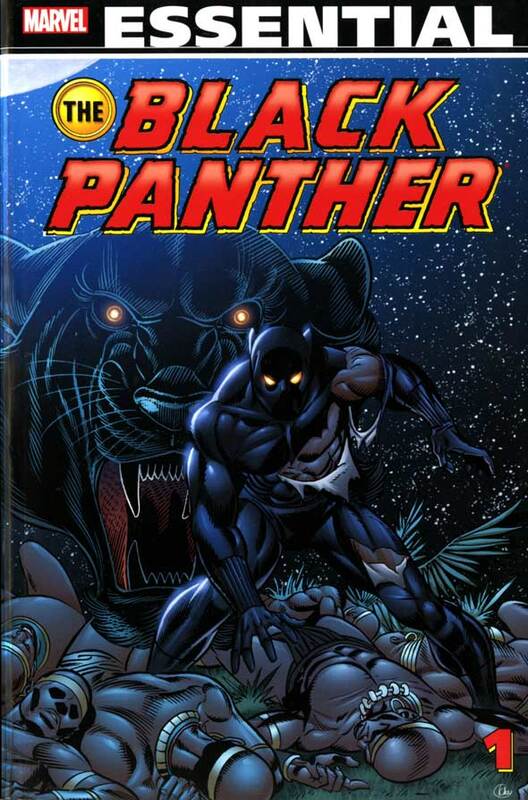 The writing, done almost all by Doug Moench, is good for the era and the intended audience. The art is great, but there are times when the pages look awkward due to the smaller size of the Essential page compared to that of the original magazine. If you are a fan of the Hulk or interested in the Marvel magazines, then give this a look. Footnotes: The Hulk & Moon Knight stories from Hulk! #15 are also reprinted in Essential Moon Knight Vol. 1.